Kyle is the Director of Marketing at Chateau Chantal & Hawthorne Vineyards. He has lived in the Northern Michigan wine region for just under a decade. His favorite TC things to do include, biking, SUPing and being a foodie who explores the delicious local culinary, wine and beer scene. 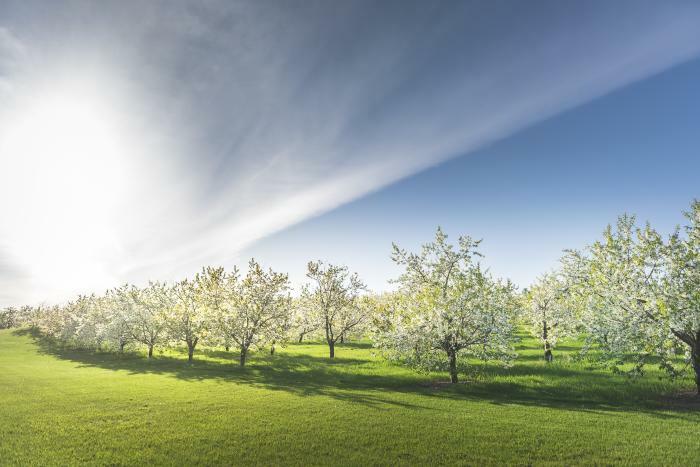 Experience spring on Old Mission Peninsula: A celebration of blossoms & wine! Spring is often the most overlooked season in Northern Michigan. Event-filled summer days, breathtaking fall foliage and a snowy winter wonderland have come to define Traverse City. However, spring, signified by its beautiful cherry blossoms, has long held a special place in the heart of Old Mission Peninsula.